Located near the Grand Canal, the Capri Hotel is just a few minutes walk from all terminals. The hotel boasts a cosy lounge and a breakfast room. It's near a shopping and historical centres. All of the guest rooms are comfortable and nicely equipped to give a feeling of being home while away from home. The hotel also has a variety of facilities and services that are sure to meet the need of both business and leisure travellers. 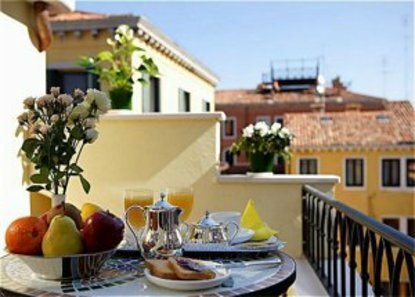 A first-class hotel, the Capri Hotel's rooms are equipped with safe, telephone and minibar. Hotel facilities include 24-hour room service, safe deposit boxes, babysitting service, multilingual staff and concierge. It is within walking distance of the Grand Canal. San Marco: 20 minutes by Vaparetto Typical and renowned restaurants in the area.